How Do You Pick The Best Company For SEO Campaign? Are you currently in the process of selecting SEO company or agency? If you do, then I will going to try to be very beneficial for you because I’m going to show you some of the pretty big mistakes that are being made while picking a SEO agency. Don’t get me wrong and just stick with me for a few minutes ahead by keep on reading. 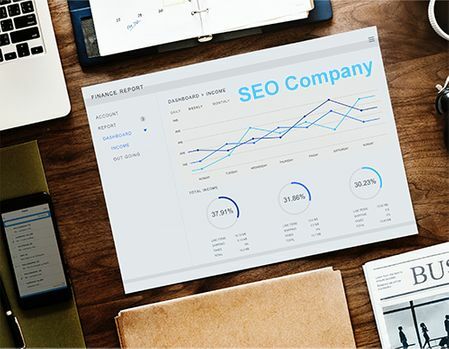 So, the very first most common mistake the business owners make when choosing SEO services is that most of them only focus on rankings and traffic but not on keywords. Ok, I know rankings and traffic are important. But now don’t get me wrong, they are surely great to achieve but if this traffic just doesn’t convert into the actual money, then both are don’t really important any longer. Agree with me? If you are the business owner, it is obviously that your main goal is to increase the revenue, right? So, what the first step towards this goal beside the both that have been mentioned on above? For me, it is to pick the right targeted keywords. We have been taught and known that keyword research is by far the most important part of most SEO campaigns. You need to grab the right keywords because if you pick the wrong ones, then I am afraid that the whole campaign will be affected. I am worry that they will fail and this is really an important issue. Today, with the presence of a lot of available agencies or companies out there or on the internet, can you find one that will looking for the right keywords right before running the campaign? If you have no idea about that before, please don’t just being satisfied if there will be one asking you about which terms your business want to rank for. Mostly, the clients just don’t know how to pick the right keywords. So that, it should have been included with the right keyword researches for the optimisation package. it is not the client’s business and that is why you as the owner pay the agency. That’s really should be done by the company you have hired. Let’s take a bit look at what can happen if your campaign pick the right keywords. The first important thing you have to makes sure is to find a group of phrase with a high monthly search volume in low competition state. Mostly, this first choice is rare to find. But keep on focusing your business niche, you may be surprised. If not, you can then find keywords with many search volume but the competition is the middle state and then to the high competition keywords. The higher the keyword competition, the more times and energy you should spend, so with the low competition keywords where they can be relatively easy to compete. Not to mention the country targeted keywords. It is quiet easy to rank on high competition keyword at London as the targeted country then the same keyword but you have set your Google Search Console to target the worldwide (all countries). The keywords are to help you find which some of the phrases that mostly the people or search engine users are using. And also you can at least determine the potential reach of your campaign. You can at least determines the amount of potential traffic that your site can get even though they are not the exact traffic. I mean, you can then assume that you are possible to get 20, 30, 40 or even more percent of the monthly volume. For example, with a monthly search volume of 100 searches, you might be able to drive 15 or 20 visitors to your website. It is less than a person who will visit the site. Doesn’t it too small to be targeted? Yes, so you need the agency to find the best potential keywords with high volume. But keep in mind that there are also many of the low keyword’s volume with high competition. So, it all depending on your niche. There is also the problem with picking the wrong keywords that you do. It can be that you’re picking the phrase which is far too competitive. Let me tell you one quick thing as my own experiences. It is possible for everyone to rank for any keyword on the search engines. It’s just a matter of the budget and the time you want to invest in. Let me show you an example for that. Let’s say you want to rank for a keyword like “health insurance.” Of course you can really do that. But you have to know that there have been huge players in that niche that have already spending huge monthly budget as well for years. So, will you keep on going with that keyword example or not? Another common mistake the business owners make when picking a SEO service’s company is making the price the monthly. I mean, dude, you have to takes it as a package for at least 3 or 6 months. Not just a month. How could you see the best result in such short time? Look, you can even find on internet that the agency is selling the SEO services for $100 and will give you with bombastic sales letter on their landing page. Come on, what you could expect from that? I am not saying that the services are supposed to be expensive, but to be honest, how can be optimizing your business site is cheaper than your own shoes or a half of the t-shirt price you just bought the day before? For real, what you have expected? I’ll leave the answer for that questions up to you if you are really serious about your business site. Above, I have mentioned about what you should hear from the SEO agency and what to avoid especially the mistakes that you should have never do. And you need to be aware of them since they can be the facts for the other businesses. But, I won’t leave you wondering around about where the right SEO agency you can actually contact. So that, I will recommend you about the Bali SEO services that is managed by one of the popular digital agency called as Kesato. Feel free to visit and get in touch with the team. Last but not the least, there is also another important factor you need to remember which is the money that you’re going to pay for is not only for the current and actual work the agency does. It is really not. SEO is the long run campaign. You mostly will deal with it for years and somehow seems to be forever. So that, make sure that the campaign that have ran with building backlinks as one of the strategies the agency does is placed permanently. Don’t let them make you to pay annually for something like that.